Look out, Green Book, there’s a new road guide in town. The American Association of State Highway and Transportation Officials’ roadway design bible, the Policy on the Geometric Design of Highways and Streets widely known as the “Green Book,” has long been derided among city planners, designers, and transportation activists for it’s often inflexible, one-size-fits-all approach to roadway design. Now, the Green Book is getting a run for its money as the National Association of City Transportation Officials releases its second guidebook on the unique needs and assets of transportation corridors in the city environment. The NACTO Urban Street Design Guide, released Sept. 23, 2013, follows the second edition release of NACTO’s Urban Bikeway Design Guide in October, 2012. The Bikeway Guide was endorsed by the Federal Highway Authority, an essential step in encouraging often conservative traffic engineers to try the unconventional road design approaches promoted by NACTO. “The street guide is really a kind of blueprint written for cities by cities,” says David Vega-Barachowitz, Director of the Designing Cities Initiative for NACTO. “The most important distinction between the street guide and the AASHTO Green Book is that the street guide is very much about celebrating the particular characteristics of city streets, and accommodating those unique special characteristics, in particular the overlap of busses, bikes, pedestrians, businesses, public spaces, and unusual intersections,” he says. The document rests on five basic principles for urban street design. The first principle affirms the important role of streets in the public life of a city and calls for design that goes beyond traffic conveyance, creating vibrant public spaces where people feel comfortable. 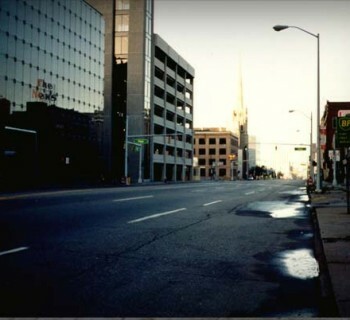 The second principle links the quality of street design with economic development, providing evidence of the linkages between well-designed streets and increased business revenue and property values. The third principle prioritizes safety, noting that 32,885 Americans were killed in traffic crashes in 2010. The fourth principle emphasizes flexibility; although roadways are made of concrete, they are not set in stone; streets can be altered from their original configurations, which were often designed for another era, to accommodate the needs of the community today. The fifth principle encourages communities to act now to build short-term, affordable, incremental changes with temporary materials to begin the process of change, testing ideas and gaining public support before committing large amounts of funding. A city like Detroit, with a traditional gridded street system and excess capacity, is ideally positioned to take advantage of the innovative roadway design approaches detailed in the street guide, according to Vega-Barachowitz. 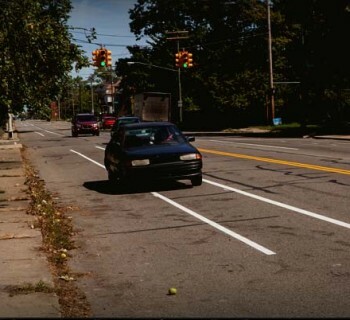 “In the context of Detroit, where there is a lot of extra roadway capacity and limited funds, the guide can provide a vision to help people understand what a street could look like,” says Vega-Barachowitz. “The guide places a heavy emphasis on ways to get things done quickly and cheaply, delivering projects in the interim designed to increase momentum and public buy-in to build political will for more capital-intensive projects,” he says. 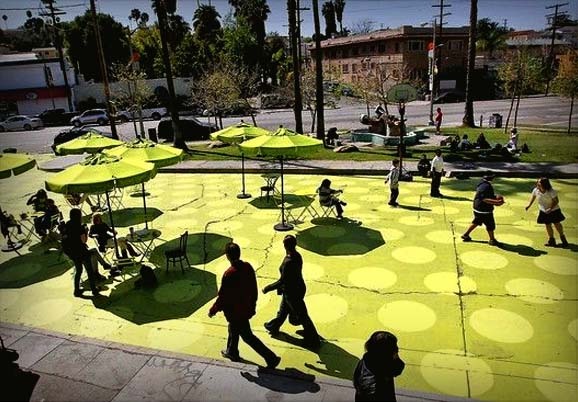 Of particular relevance to Detroit, says Vega-Barachowitz, are guidelines and ideas for temporary “tactical” things like open streets, parklets, and shared streets. The street guide also has a set of chapters addressing design controls, the bedrock policy assumptions of roadway engineers for speed and performance measures, reframing these assumptions to better fit the urban context. For example, cities may accept slower traffic speeds and tolerate a little more congestion than conventional suburban thoroughfares in exchange for accommodating multiple types of roadway users and high-quality public spaces. FHWA has not yet endorsed this new guide, but Vega-Barachowitz says NACTO and FHWA are working closely, and that FHWA is already incorporating some of NACTO’s ideas into future guideline updates.